Photo: Brad Dalke earned his second top-10 finish of the season. 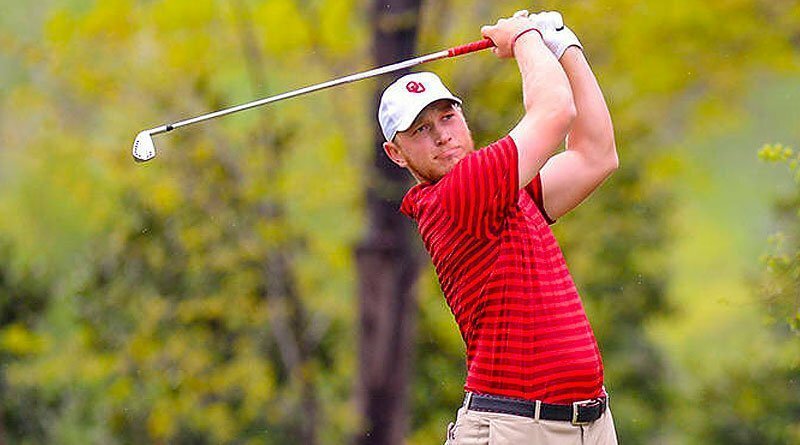 Heavy rains in the area cancelled the final round of the Boilermaker Invitational on Sunday as Oklahoma men’s golf finished in third place with a two-round 562 (-14). The two-day, 54-hole tournament was held at the Kampen Golf Course in West Lafayette, Ind. Playing as an individual unattached from team scoring, junior Riley Casey claimed sole possession of second place with a two-round 137 (-7). The runner-up finish marked Casey’s best finish of the season.